Jacob, Winston and I have lived in our new house for a little less than a year now, and I have to admit I’ve learned a lot about myself in this short amount of time. I never imagined in a million years that I’d love to paint walls or envision the décor of a newly renovated room. One thing I’ve discovered is how adamantly I love DIY projects. Who needs fancy or expensive things when you can simply create original pieces on your own. I guess I’m not entirely surprised considering I used to love scrapbooking (and still do if I ever put aside the time). Whenever I want a little DIY project to work on, I browse Pinterest in the hopes of finding a new idea. And that’s where I got the vision to make leaf bowls. I pinned this long before I moved out of my parent’s house, when the thought of living in my own place with Jacob was merely a possibility. 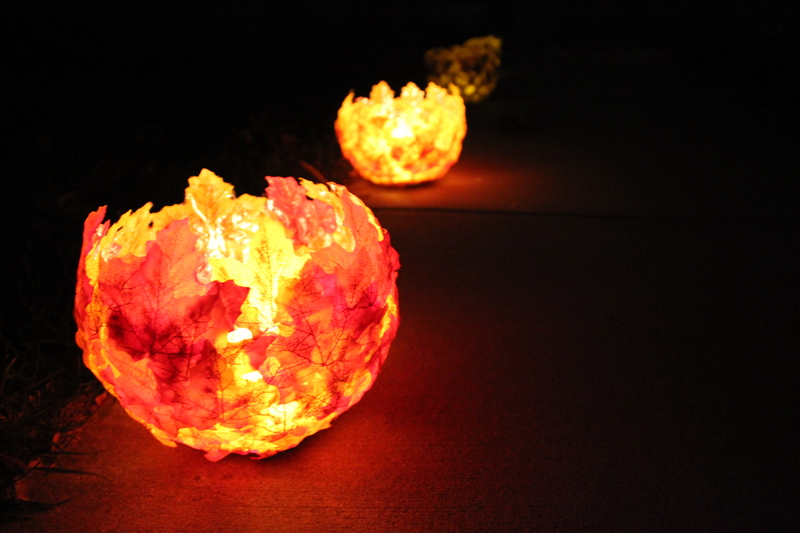 Since I still have some time before the winter season is upon us, I thought this would be a fun, fall DIY project to accomplish. There was definitely some trial and error since the directions aren’t that in-depth but in the end I can share the dos and don’ts I learned for all you little do-it-yourselfers out there. The Leaves. 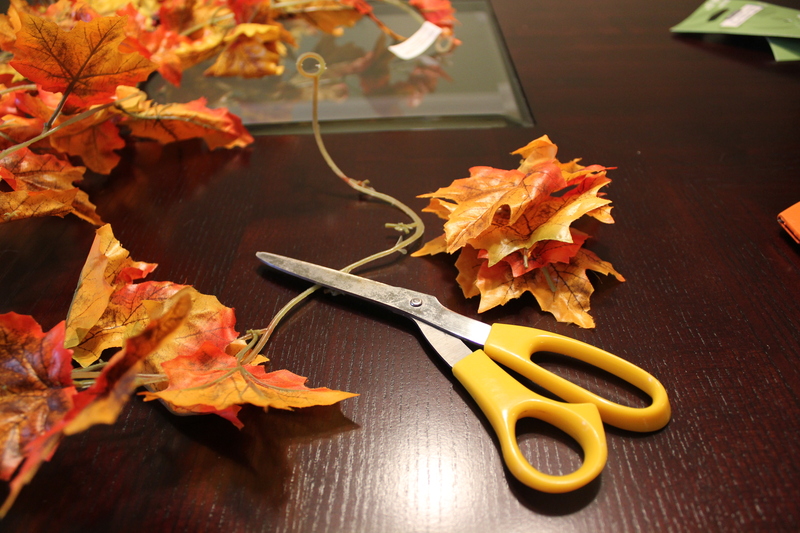 Start by taking a strand of the leaf garland and snip off the leaves from the plastic line. When purchasing your garland (I got mine and all other crafts from Michaels) make sure you get the most for your buck. 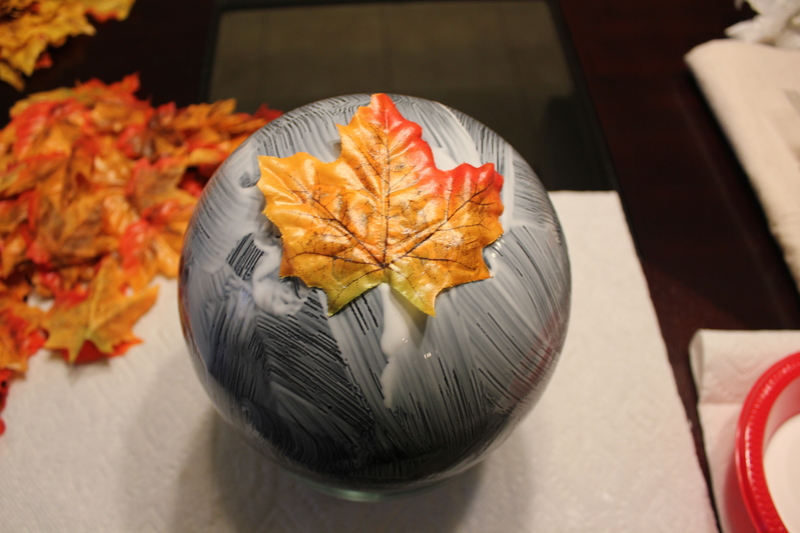 Try getting a full strand of leaves and in a few different hues (reds and yellows) in order to make the prettiest bowls. Once all your leaves are cut off, you still need to remove the plastic stem in order for the leaf to lay flat on the balloon. Carefully peel off the stem from the bottom up with your fingers. The twig-like stems should come off easily enough. If some pieces get stuck, maneuver your nail in between the stem and the leaf until it comes off. Discard the plastic stem and line once finished. 2. The Mod Podge. Before you begin, make sure to cover your work station with a few paper towels, unless you want to get glue all over the place. 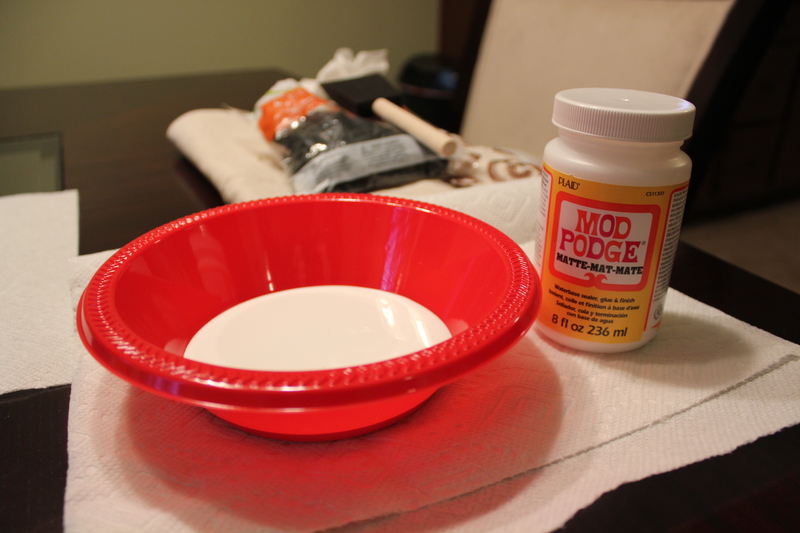 Pour the Mod Podge into a small plastic bowl and set aside. Then, blow up a balloon to medium size and place inside a bowl. 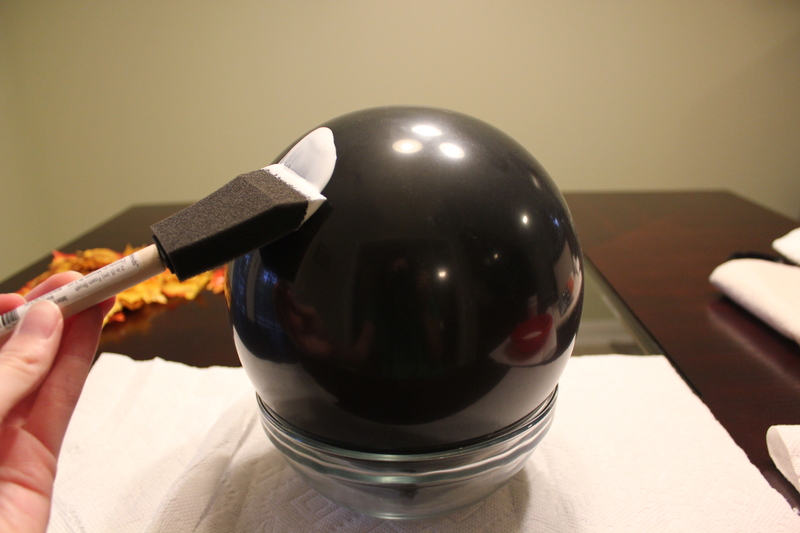 Make sure the bowl is big enough to fit the balloon but small enough that it sits firmly in place and doesn’t move around too much. 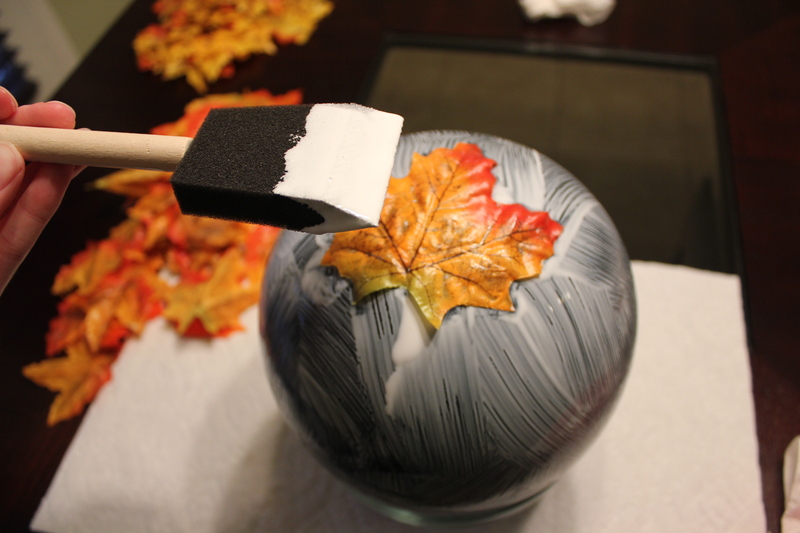 With a foam brush, coat the balloon with one layer of the Mod Podge, making sure every inch is coated. 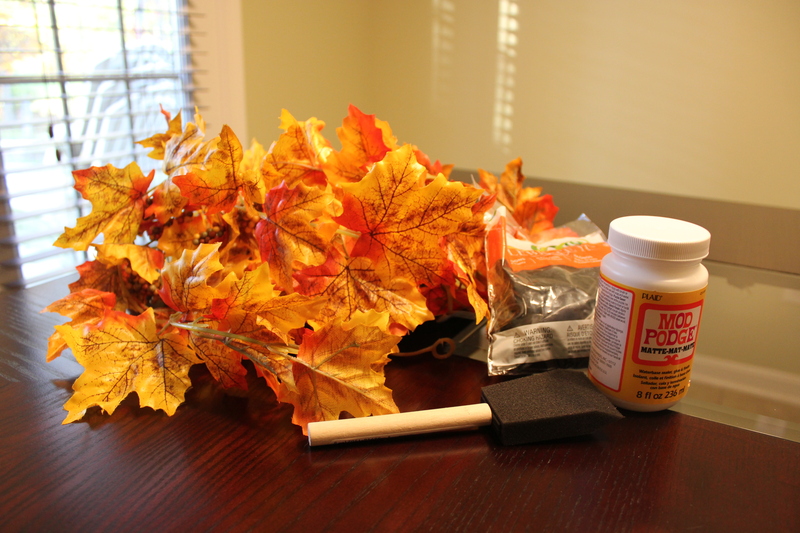 One important thing to note is to trace out with the glue where you plan to stop the leaves. I’d say to stop about midway down from the top of the balloon to make a nice bowl-like shape. It’s important to trace out where you plan to stop so that the leaves all end on a somewhat even line and you have a plan of where to stop. Otherwise, you’ll just keep adding leaves unnecessarily. 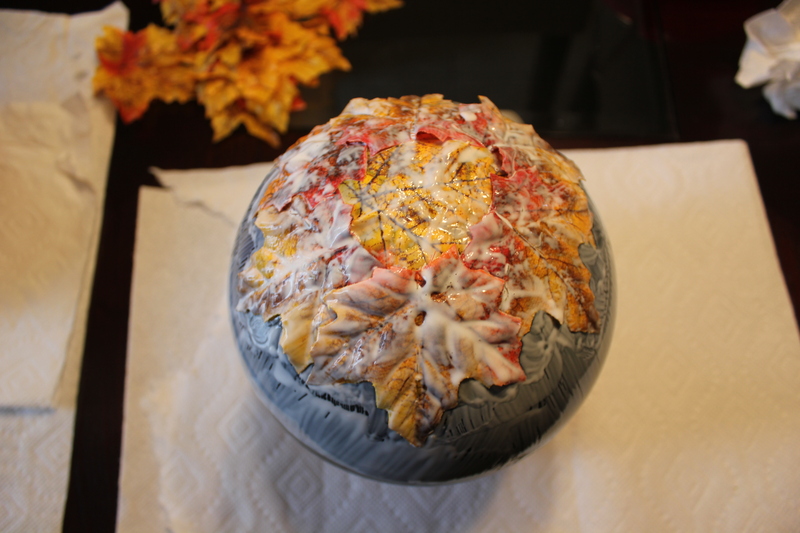 Once the Mod Podge is coated all over the balloon, take a leaf and place it on top of the balloon, which will actually turn into the base of the bowl. Smooth out the edges of the leaf until it sticks to the glue. Then, take more of the Mod Podge and coat it over the leaf. Don’t be afraid to get messy with this. 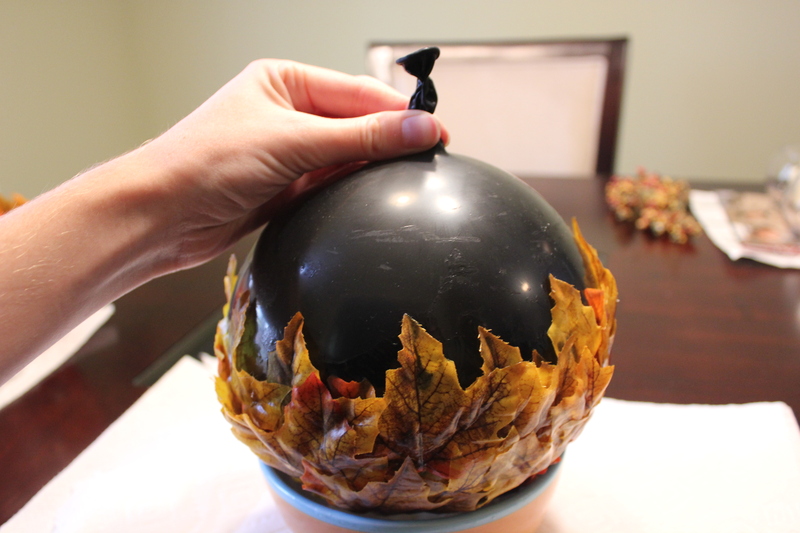 Use your fingers to help with the coating and to prevent the leaf from moving around the balloon. 3. Repeat, repeat, repeat. After you’ve placed your first leaf, use that as a base for where to place the rest of your leaves by creating a circular pattern. 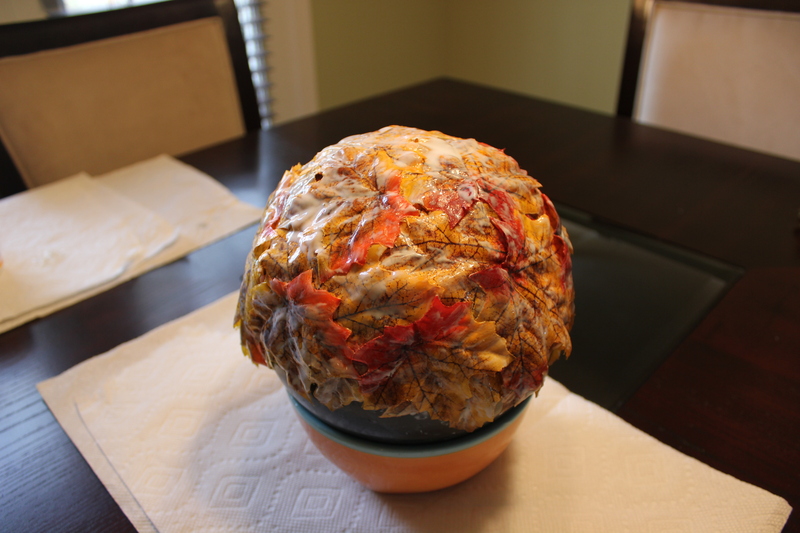 Smooth out the leaves and coat them in the Mod Podge, moving around the balloon in a circular motion with the leaves and beginning a new layer each time you complete the circle. I tried using the smaller leaves first and saving the bigger ones for later. Once you’ve reached the bottom, use any extra leaves to fill in holes that didn’t get covered up. 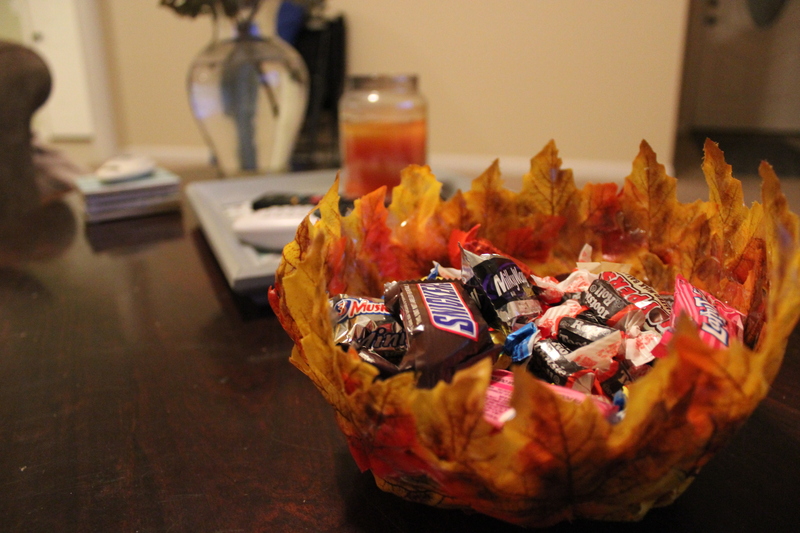 Also, make sure to save some of the big leaves to double layer the top (eventual bottom) of the bowl. This gives it more support for when the bowl dries and you begin to use it for all your creative means. 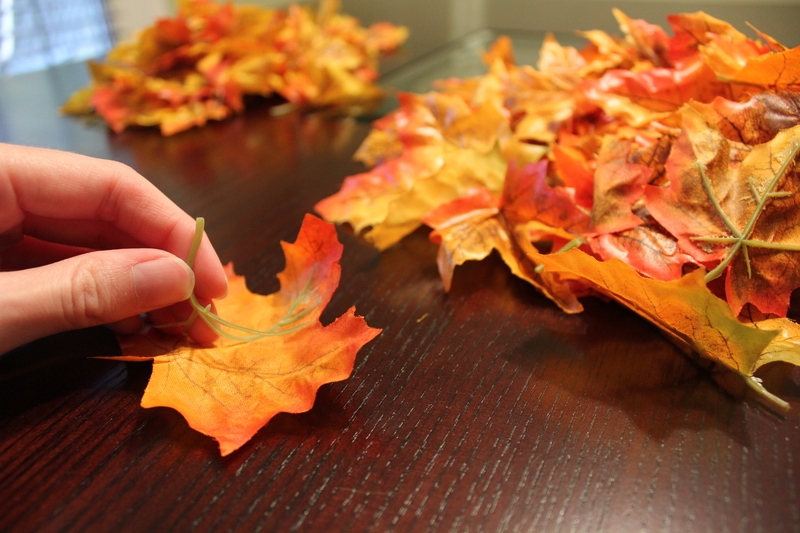 After you’re finished, let the leaves dry overnight or until all the glue has hardened. 4. The End is Near. Once the bowl has dried, carefully flip it over so the top becomes the bottom. With a pair of scissors, snip a small hole at the tied end of the balloon and slowly let the air deflate. The leaves are going to fall inward with the balloon but don’t be alarmed. 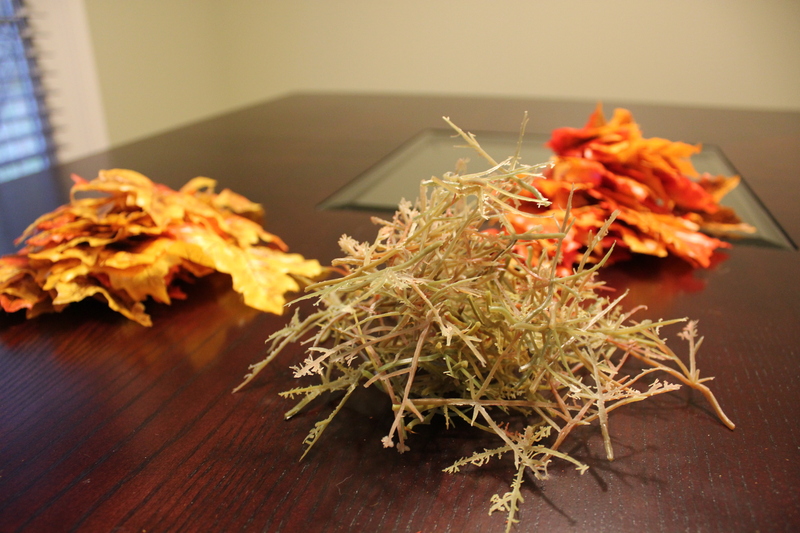 After the balloon shrinks enough the leaves will expand outward and back to the original form of the bowl. 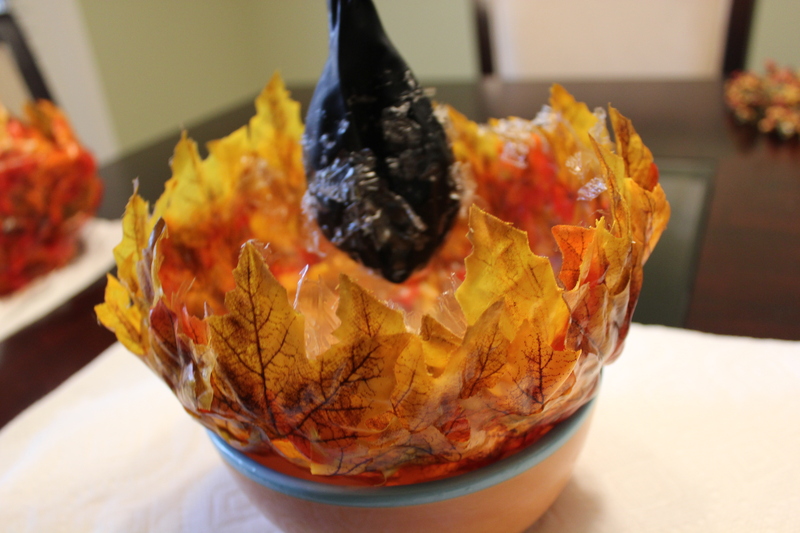 Discard the shriveled up balloon and peel away any of the excess glue that is stuck on the rim of the bowl. Allow the bowl to dry a few more hours in case there’s still some wet glue on the inside of the bowl. 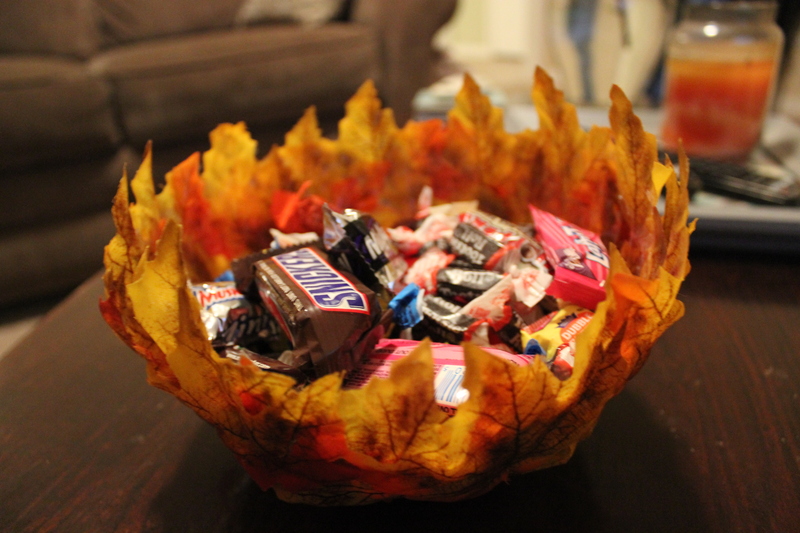 And voilà — a creative leaf bowl to use for all your seasonal needs. Use it as a candy bowl or a place to set your keys. 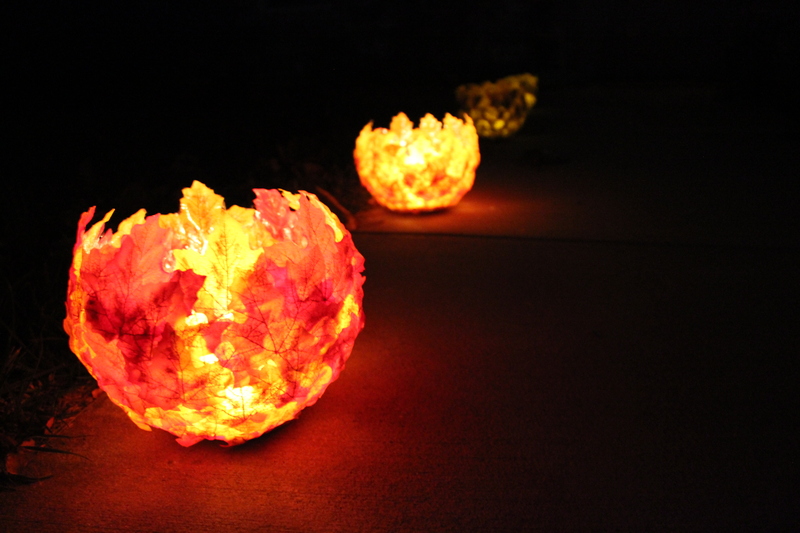 I ended up making some extras and using them to light a beautiful path up our entryway (electric candles only just to be safe). Thanks for reading and check back soon for some more DIY fall posts to follow! Wow, great, great job! I love them as little candle holders!